The Objective Perceptual Signal Quality Analyzer setting the Standards. 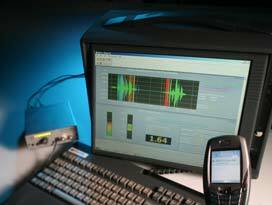 PRODUCT OVERVIEW The OPERA Voice/Audio Quality Analyzer represents the latest developments to objectively evaluate and assure the quality of compressed voice and wide-band audio signals, based on modeling the human ear. With OPERA you can achieve a comprehensive analysis of the end-to-end quality of today's and next generation networks, such as VoIP, VoDSL, VoATM, ISDN, GSM, POTS, from the caller to the callee. Also, you can test the audio quality of compression formats such as MP3, AAC, AC3, Microsoft Windows Media, from the studio source to the receiver, or from the server to the client. > Comprehensive Scalability For the test engineer, one of the issues is how to apply a computer model of the human ear to a test circuit, or to a live network environment. For this reason, OPTICOM developed OPERA as an open, easy to configure hardware platform that can process perceptual models, which are implemented just by software. The basis of the OPERA system is a portable 'lunch box' type of PC host system. Four slots can take various kinds of interfaces. Alternatively, OPERA is now also available in a rack-mountable form factor. For R&D and lab applications, a cost effective software-only version with reduced functionality is offered, as well.